If you are thinking about buying a drone, here are the top five reasons to buy a DJI Mavic Air. 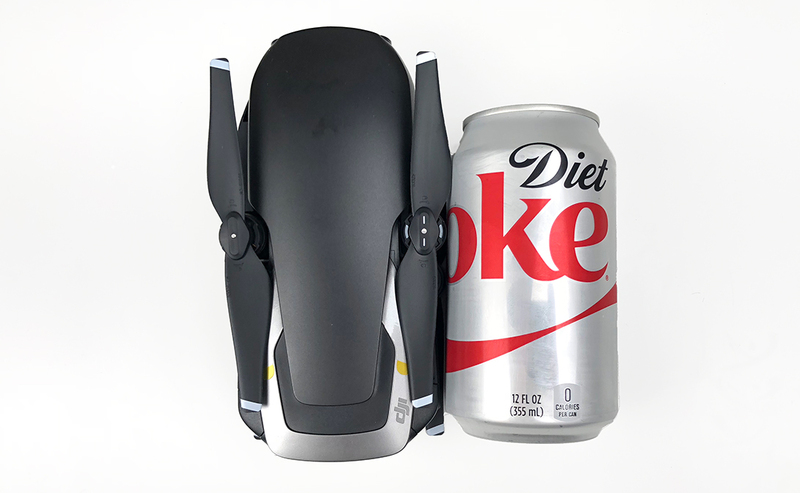 It's small, has rear collision avoidance sensors, it's smart, takes amazing photos and video, and is really easy to fly. No surprise that this is the top reason. 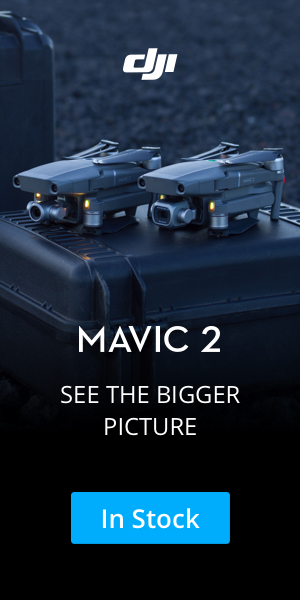 If you have had other drones in the past I guarantee you are going to do a double-take the first time you hold a Mavic Air in your hands. It is strikingly small and light. If you are getting ready to go out to a scenic spot you will never have that "Do I want to lug my drone with me?" dilema again. You can take this drone anywhere without thinking twice. An unscientific study of YouTube drone crash videos shows that a lot of crashes happen while flying your drone backwards. It's just really hard to judge how far away you are from things when your drone is in the air. One second you are looking at your screen thinking what an amazing shot you are getting as you pull back at full speed. The next second you are looking at leaves getting chopped to bits by your props. 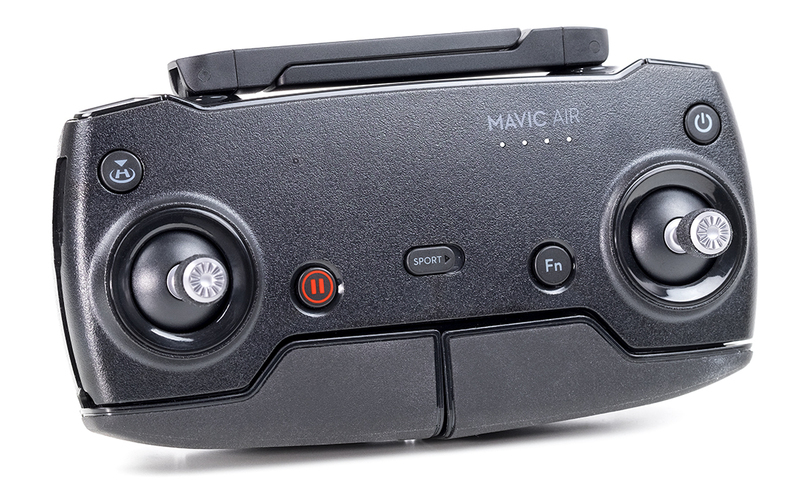 DJI added collision avoidance sensors on the back of the Mavic Air that should greatly cut down the number of drones hanging from tree branches around the world. They're not perfect so you still need to pay attention to what's behind you. Also, they are no help whatsoever if you are flying sideways, which is another common feature of YouTube crash videos. The bottom line is don't get mesmerized by what you see on the screen and forget to look up and check on where your drone is in relation to its surroundings. APAS stands for Advanced Pilot Assistance Systems. With previous DJI drones, when the obstacle avoidance sensors detected an obstacle, the drone would stop and hover. That's good because your drone will live to fly another day. But the scary smart engineers at DJI weren't satisfied with having the Mavic Air just slam on the brakes when it detects an obstacle. 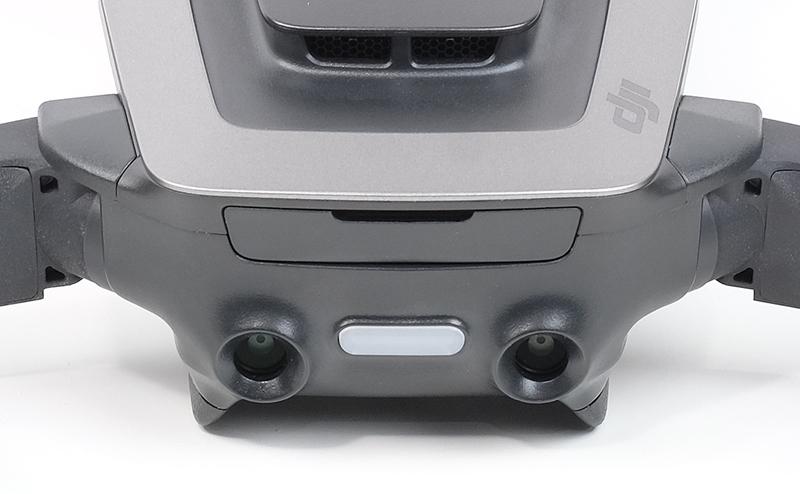 With APAS enabled, your Mavic Air will autonomously fly over or around objects in it's way instead of just stopping and waiting for you to do something. It doesn't work every time. Occasionally, the Mavic Air will just stop. I suspect wires will still be a problem since sensors historically have a hard time seeing them. But it's still a great feature that will no doubt get even better with time. Yes, it's small. But it's really good. Like the camera on the Mavic Pro, it is attached to a 3-axis gimbal. 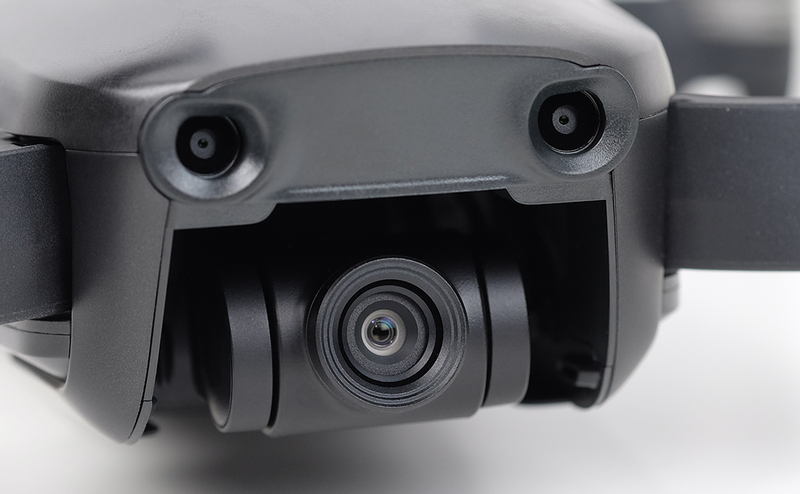 Unlike the camera on the Mavic Pro, it is tucked back into the body of the drone (as opposed to hanging off the front) a bit so it is protected a bit. The one-piece gimbal cover slides on and off very easily. The specs for this camera are similar to the one on the Mavic Pro. The biggest difference is the fact that you can shoot 4K 30fps video at 100Mps (as opposed to 60 Mbps for the Mavic Pro). The ability to capture more information should result in higher quality video. The Mavic Air can also shoot slow motion video at 120 frames per second. That's pretty sweet. It's small and easy to transport. It takes less than two minutes to go from taking it out of the case to getting it up in the air. The obstacle avoidance sensors and the APAS system make it harder to crash which means you can relax and have fun flying. 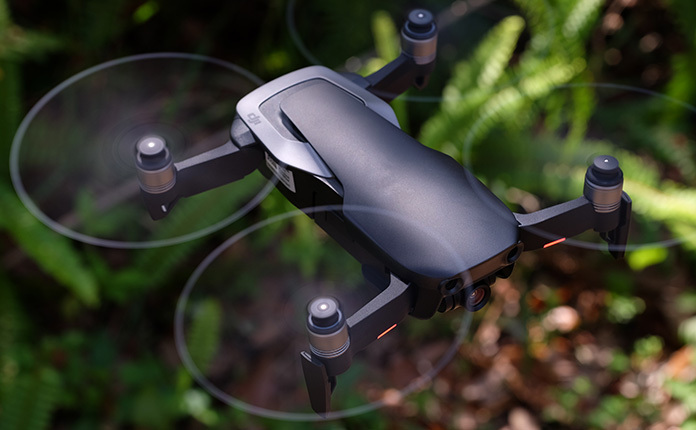 Setting Up Your New DJI Mavic Air Everything you need to know to get your new Mavic Air ready for it's first flight. Your First Flight With Your DJI Mavic Air Tips and tricks to help you have a successful first flight.